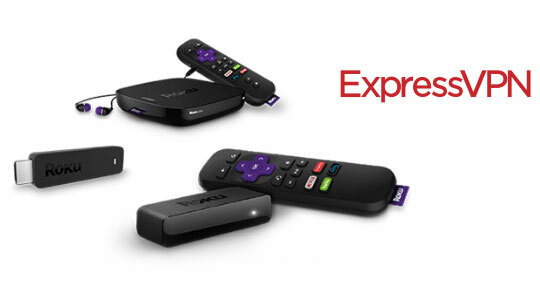 Roku has introduced a vast collection of devices in the marketplace including Roku 2/3, Ultra, Express/Express+, Streaming stick/ Streaming stick+, and Premiere/ Premiere+. These devices enhance our TV viewing experience more than ten times and enable us to access our favorite channels or apps. There are around 3,000 channels (paid or unpaid) available in Roku player which you can enjoy directly on your big screen, just plug the device with your TV set and here you go. But, in order to gain maximum profit from your device, you have to create a reliable setup between your TV and Roku, and then you have to activate it by using Roku activation code. There are so many models of Roku available in which you can stream Kodi on the Roku. But, while streaming digital media content via Kodi, you can face copyright violation from your ISPs. To access Kodi on Roku with an ease, you have to setup ExpressVPN in order to protect their identity. Do you know that ExpressVPN is most widely used VPN in the USA? The reason behind is that VPN will offer DNS code which can easily configure the router and also unblocks the American Netflix. Note: If you have already use Roku US account then you can skip this step. Step 1: Go to Roku official website from your VPN connected smartphone or computer and create a Roku US account. Step 2: Choose the United States in the country section. Step 3: Enter the five-digit American Zip code such as 92803, 10005, etc. Step 4: Factory resets your Roku device by continuously pressing the button on the back player at least for 10-15 seconds. Step 5: When your player restarts, log in your US account. Recommended for you: Control Your Roku Device by Using It’s Mobile App. 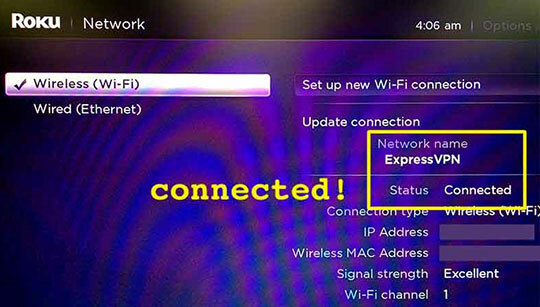 How to Install ExpressVPN on Roku Streaming Player? Establish a reliable connection between Roku and router server with US server address, because if there is no connection held between your Roku device and router then you would not enjoy US content on your Television set. 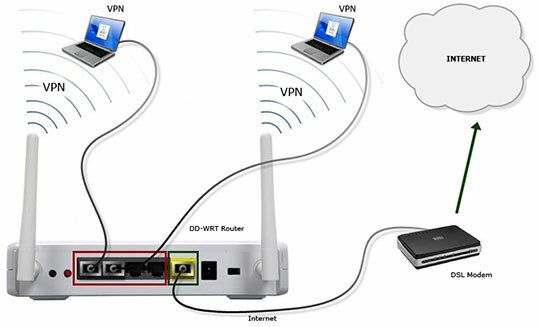 Step 1: Before beginning this process, first make sure that your PC must support virtual router. Now, open the command window and click the right button of your mouse and select Run it as an administrator. Step 2: If you are a user of window XP or Vista then first, go to My Computer and right click on the icon. If you will get a hosted network there that means your virtual router is functioning well otherwise run an update to check the availability of network drivers. Step 3: Go to official Roku website and follow the steps to set the VPN on your gamer, if you are unable to get the steps then simply enter the name of your Roku device on the internet. Step 4: Create the Roku setup before indulging in the VPN router set up and make sure your device is set up as per US content. For this, log on to www.roku.com. Step 5: Now, open your web browser and enter the owner. Open the Roku official link from the VPN enabled device. Step 6: In the country, section selects the United States. Step 7: Reset your Roku device by continuously the back button of your gamer for at least 10-15 seconds. Step 8: Restart your device by long pressing your button and then leave it. if there is no signal in the screen which clearly means that this device is HDCP unauthorized. Check the HDMI cable, whether it is a connection to your Roku device properly or not. Step 9: Once the HDMI port connected to the device then log on to your Roku account with new credentials and the linkage official page of the website by using Roku remote control. If you face any issue, you can resolve them by simply navigating the official page of Roku. By following these above-mentioned steps, you can easily install the ExpressVPN on your Roku streaming player. In case, you face any issue while creating a setup then you can take help a reliable Roku technical support service nearby your area. Enjoy streaming US content with an ease and enhance your TV viewing experience by watching your favorite TV show, movie, video, and other digital media content. This article is written by Daniel Nickolas. He loves to do things the right way! Nickolas has always been a pertinent contributor to the technology industry with 14 years of experience. Now he is writing blogs for Netlogicsllc.